What do you understand by the term Adaptive Software Development? In order to build complex systems, Adaptive Software Development is used as a technique which focuses on collaboration and learning. Adaptive Software Development is evolved from the best practices of Rapid Application Development (RAD) and Evolutionary Life Cycles. In complex environment and in the context of complex systems, Adaptive Software Development is more towards adaptive practices than deterministic practices. Who are the audience for learning the concept of Adaptive Software Development? The Adaptive Software Development is mainly developed and targeted for the project teams having problems of high-speed, high-change projects and the project teams that are looking for different ways for improving the performance as the teams become more distributed and the projects undertaken get larger. 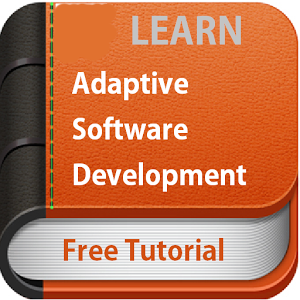 What are the prerequisites required for learning Adaptive Software Development? Good knowledge and understanding of the concept of Software Development Life Cycle is essential for learning the concept of Adaptive Software Development. It is suggested to learn the SDLC concept before starting with this tutorial.